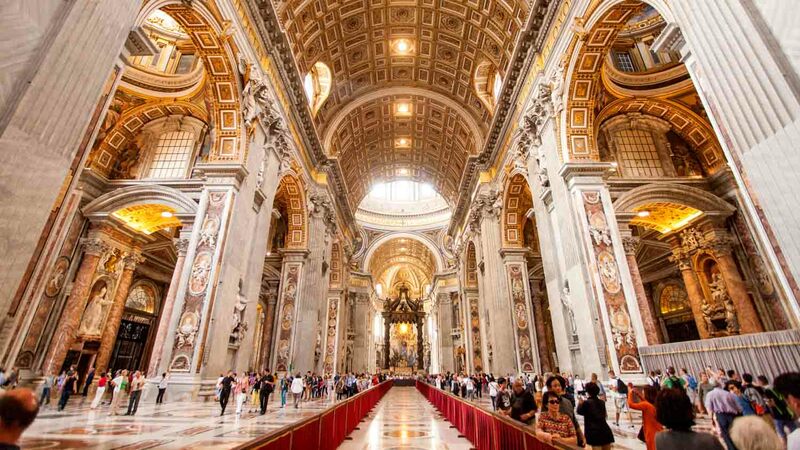 The world-famous St. Peter's Basilica took 120 years to complete and involved some of the most talented architects of its time. It's arguably the greatest achievement of late-Renaissance architecture – here are five highlights amongst its countless marvels. The magnificent entrance to the Basilica consists of a gigantic square, featuring a 25-meter obelisk at the center, encircled by colossal Tuscan colonnades four columns deep. The Basilica's facade, designed by Baroque architect Maderno, is 114 meters wide and 45 meters tall. Built entirely from travertine stone, it's quite simply breathtaking. The opulent interiors, including Maderno's lavishly-decorated nave, are so immense that it can be hard to judge the building's proportions. At 136 meters, Michelangelo's famous dome is the tallest dome in the world. It stands proud in Rome's skyline and offers a staggering panorama of the city. Below the Basilica, there's a large network of tunnels housing the Vatican Grottoes. 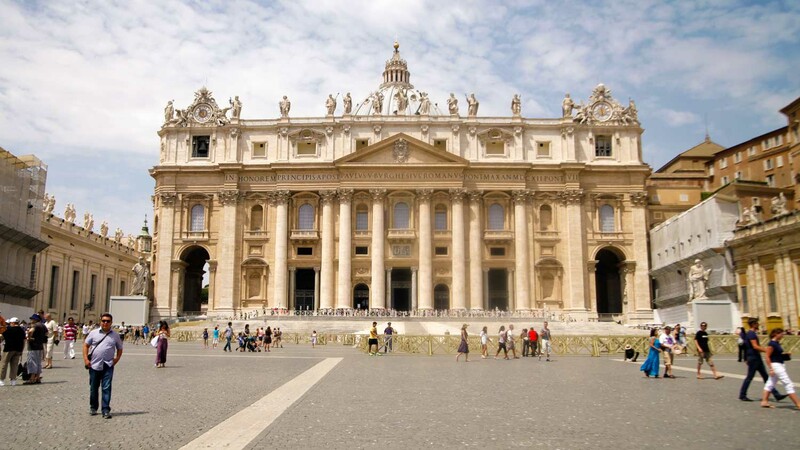 Many popes are buried here, including John Paul II and the first ever pope, St. Peter himself. As a Catholic building, appropriate clothing is required to enter St. Peter's Basilica. 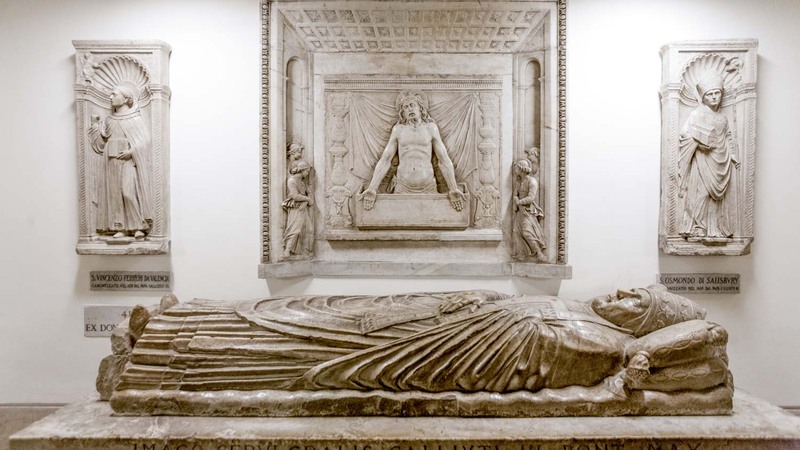 Regardless of the high temperatures in Rome during the summer, shorts, bare shoulders and miniskirts are not allowed – the dress code is strictly enforced. The queues to enter St. Peter's Basilica can get extremely long. It's therefore a good idea to arrive early, especially at the height of summer when temperatures can be sweltering. From April to September, the basilica's opening hours are from 7:00 AM until 7:00 PM, while from October to March, the basilica is open from 7:00 AM until 6:00 PM. Note that most mornings, the queues are already snaking around the square by 11:00 AM. 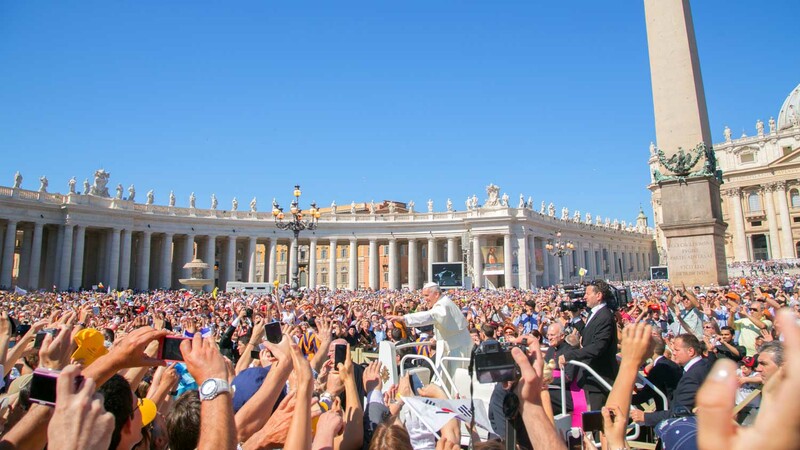 Every Wednesday, the Pope holds a public audience on St. Peter’s Square, and in the Audience Hall during winter. The audience starts at 10:30 AM, but most visitors arrive earlier to score a good seat. Security opens between 8:00 AM and 8:30 AM. 7:00 AM - 6:30 PM daily. Ticket prices vary depending on group size. 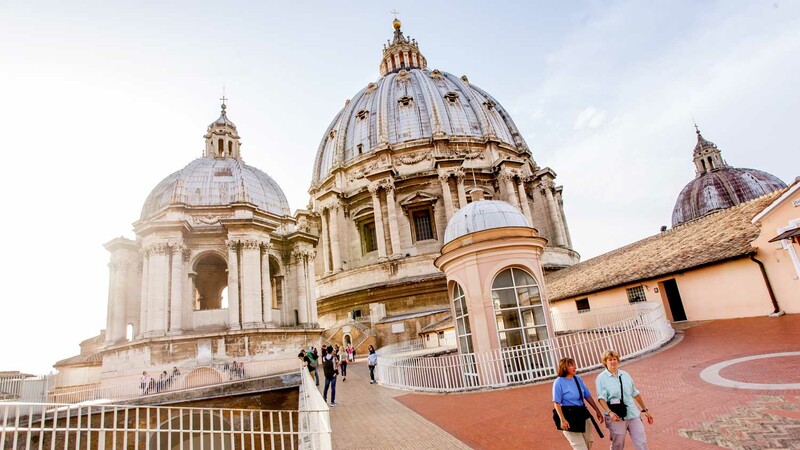 Buses 64, 60, and 40 will get you to the Vatican City. Alternatively, take the red metro line to Cipro station. Bring a covering for your shoulders, and do not wear shorts or short skirts. Use sunscreen and bring water for when you are waiting in line outside.